*Any student dropped off before 7:10 a.m. will be unsupervised. To schedule a tour of our campus, click here. Briargrove Elementary is proud to present to you our After School Program, After3, for the 2018–2019 school year. Welcome to Briargrove Elementary School! Welcome to Briargrove Elementary School; an International Baccalaureate World School. Whether you are a member of our school community or are exploring Briargrove for the first time, we hope that you find our website informative, enjoyable, and easy to use. Our school community represents over 35 different spoken languages from over 26 different countries; creating a true global community. The faculty and staff at Briargrove provide an exemplary instructional program with a passion for engaging inquiry. We strive for our students to be engaged in authentic, hands-on learning. Gifted and Talented Identification Matrices and student test scores will be sent home Wednesday, April 5, 2019. Online STAAR Student Report Cards are projected to post June 13, 2018. Please follow the directions below to access the parent portal and student performance explanations. Paper STAAR Student Report Cards will be available at the main office beginning July 1, 2018. 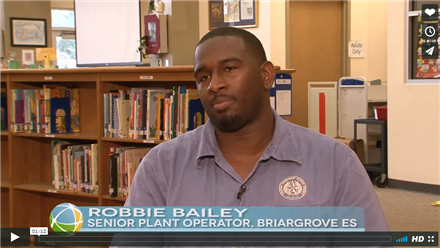 HISD recognized Briargrove Elementary School Senior Plant Operator Robbie Bailey as the district's employee of the month for August 2017. Thank you for your interest in Briargrove's Gifted & Talented Neighborhood Program. 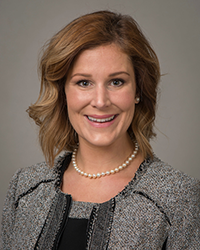 For detailed information regarding G/T, click here.